BOULDER, Colo. – The completion of a dozen automatic qualifying tournaments from April 18-19 have rewarded 12 teams with invitations to the 2015 USA Rugby College 7s National Championships. Among the teams that will join the field at the University of Denver May 23-24 is 2013 Men’s Division II College 7s National Champion Principia. The Thunder Chickens will defend their title after beating the reigning DII National Champion in 15s, Minnesota-Duluth, at the Northern Iowa 7s tournament. After reaching the DII National Semifinals in 15s this past fall, Notre Dame College will compete for a National Championship in sevens after its first-place finish at the Mid-Atlantic 7s tournament. The Flacons clamped their grasp on one of the 12 spots in the DII field by defeating East Stroudsburg in the Final. In the Men’s DI field, several conferences wrapped their spring sevens series, including the Atlantic Coast, Big Ten Universities, Empire, Keystone, and Southeastern conferences. These series produced College 7s National Championship invites to Virginia Tech, Indiana, Stony Brook, St. Joseph’s and Alabama, respectively. In addition, Arkansas won the Heart of America 7s and Miami (OH) upset Bowling Green to claim the Mid America 7s. Fifteens powerhouse Penn State will seek its first National Championship in sevens after dominating the field at the Big Ten 7s tournament. 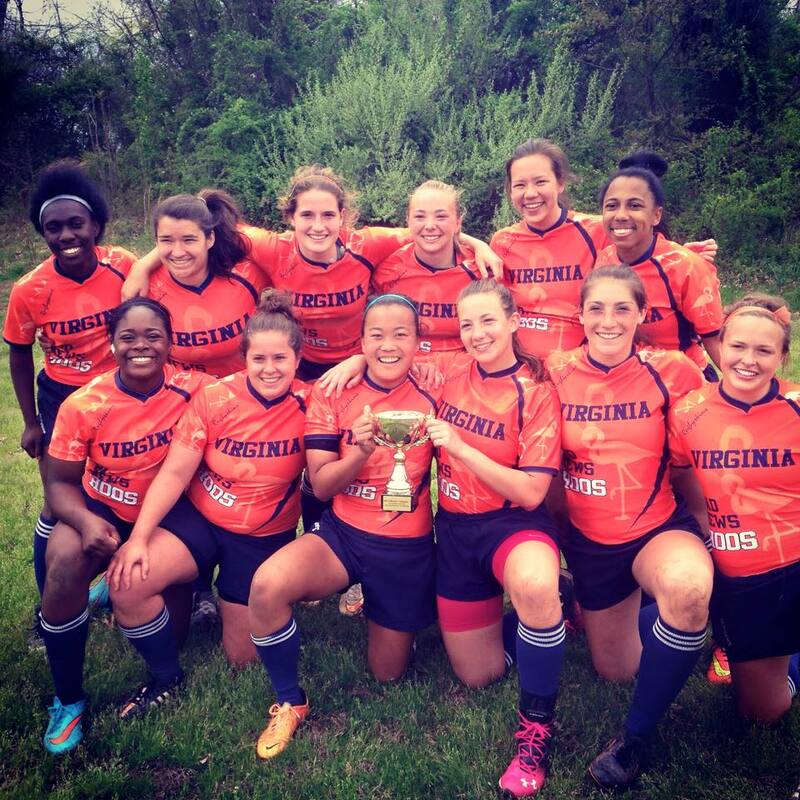 Joining the Nittany Lions in a hunt for a sevens title will be fellow 2013 College 7s participants Princeton and Virginia. The Tigers navigated through a competitive field of Ivy League schools at the Rickerson Cup, while the Cavaliers fended off an equally stiff bracket at the NOVA Collegiate 7s tournament. There are just two automatic qualifying events remaining for each of the three divisions that will compete in Denver, with the final four tournaments being completed May 2. Following the conclusion of the qualifying events, at-large invites will be extended to teams based on the programs’ sevens results during the 2014-15 season.